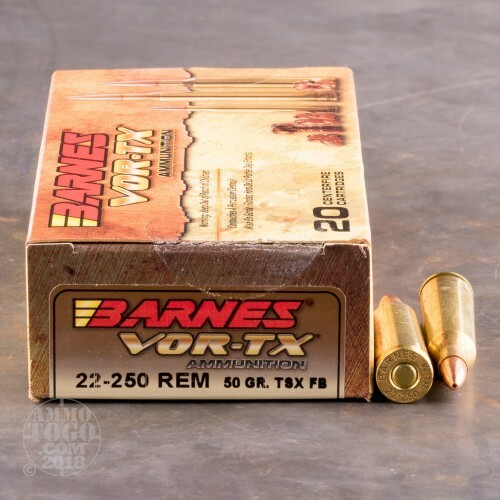 This 22-250 Rem round is from Barnes’ VOR-TX line of ammunition and features its manufacturer’s own 50 grain TSX projectile. 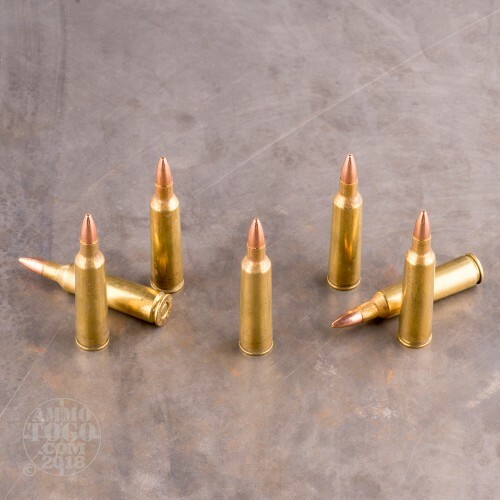 The TSX reliably doubles its diameter as it penetrates its target, and as it does so it protrudes four sharp cutting petals which entirely destroy any soft tissues and organs that they come into contact with. The TSX is made exclusively from copper, which does more for it than ensuring its legality in the state of California -- it further mitigates how much fouling your rifle’s bore will incur over the course of your hunt, and its great toughness translates to virtually perfect weight retention for a deep wound channel in addition to a wide one. 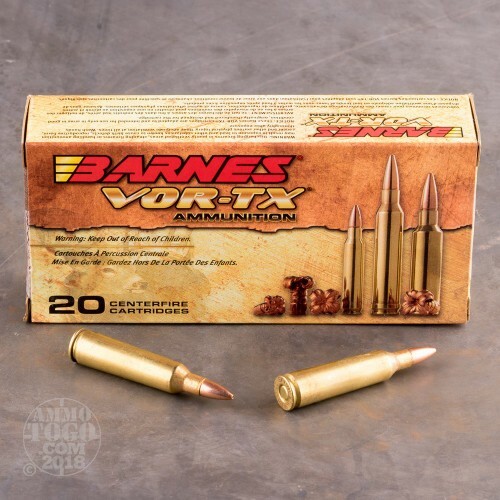 The TSX has pressure relieving grooves machined into its shank, which not only further lessen bore fouling but improve the bullet’s accuracy as well. 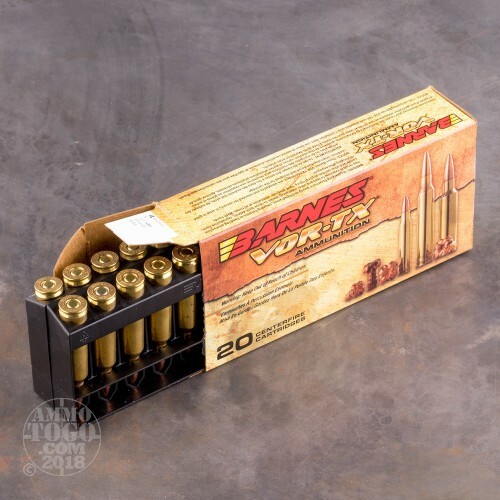 Barnes’ brass casing and sensitive primer are both thoroughly up to the task of supporting so impressive a bullet’s performance, so your next varmint hunting expedition is certain to be especially bad for the varmints with a box of these rounds in your pack!